I visit this hotel for many years now. What I liked this year was the airconditioning that was working really well. Also, the water pressure has been improved and everything was functioning well in the room including the electrical appliances. The prices are logical and I would recommend it to someone that is looking for a normal stay and is looking for adventures in the area. Bed comfort is OK . shower hot water fine . Fridge in the room kept our fruits and water cool . Η τοποθεσία του είναι ιδανική, πολύ κοντά στην παραλία στο Λατσί και στην Πόλη Χρυσοχούς. Μας άρεσε ο παιχνιδότοπος και γενικά η εξυπηρέτηση από το προσωπικό ήταν πολύ εντάξει. Rummet var rymligt och rent. Dålig och mycket enkel köksutrustning. Tillgång till pool och solstolar bra. Personalen var vänlig och hjälpsam. Sängarna bra, men ganska hårda. 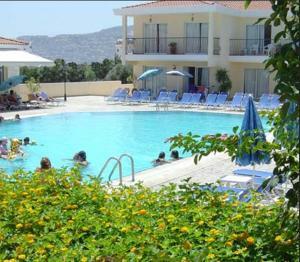 The family-run Nicki Holiday Resort is a studio-apartment complex ideally located between Polis Town and Latsi Harbor. 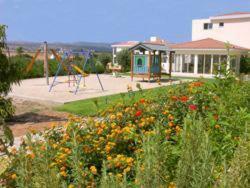 It stands just 1,500 feet from the beach in an area surrounded by beautiful green fields. 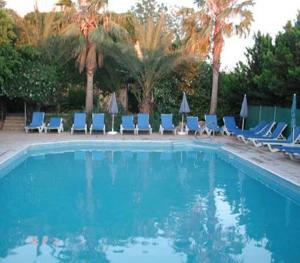 Each studio and apartment at Nicki Holiday Resort is traditionally decorated. 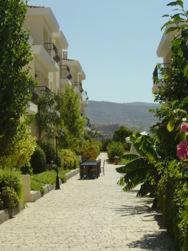 All feature a TV, air conditioning, fully equipped kitchenettes and spacious balcony/terrace. Some come with free WiFi. 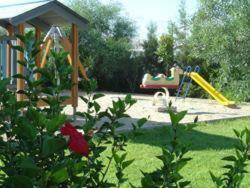 The resort has extensive facilities for children including an outdoor playground and a kids club. 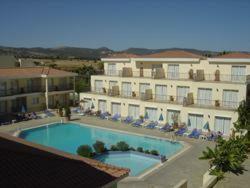 As for the adults there are 2 pools, a floodlit tennis court and a hot tub. Guests can find bars and restaurants in less than 1.2 mi away. From a hearty buffet breakfast to light snacks and fine gourmet dinners, the resort’s restaurants cater for every taste and appetite. Poolside dining at the Eleni's Restaurant provides more than just an opportunity to sample the finest in Cypriot, Greek and international cuisines. 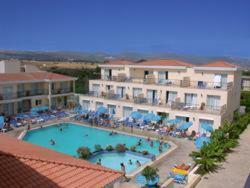 When would you like to stay at Nicki Holiday Resort? 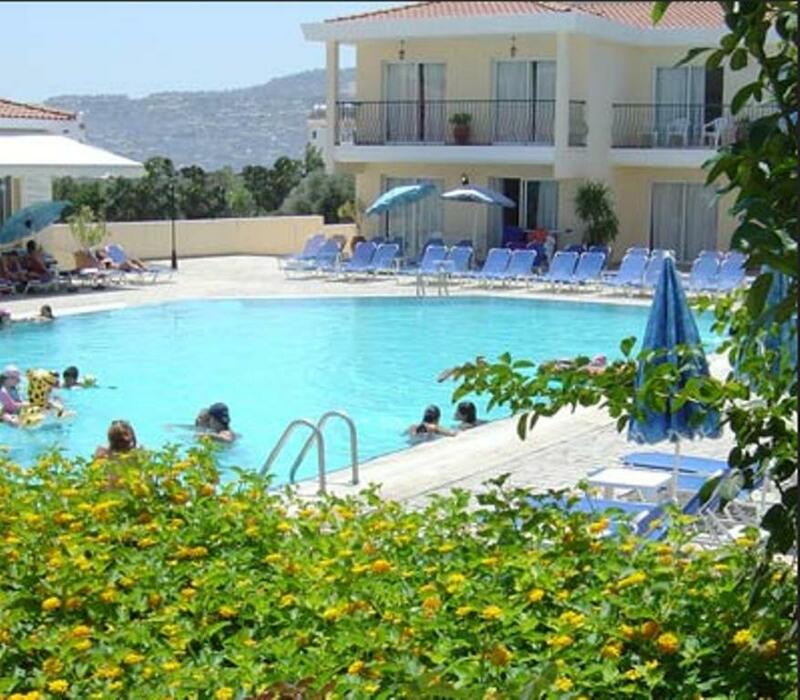 House Rules Nicki Holiday Resort takes special requests – add in the next step! Nicki Holiday Resort accepts these cards and reserves the right to temporarily hold an amount prior to arrival. 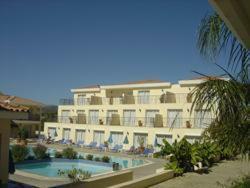 Please note that guests can ask Nicki Holiday Resort about the availability of rooms with free Wi-Fi. Please inform Nicki Holiday Resort of your expected arrival time in advance. You can use the Special Requests box when booking, or contact the property directly using the contact details in your confirmation. Cleaning was not up to standards. Burnt propane gas fumes from the kitchen were a constant nuisance in our apartment. Constant sewage smell in the car parking area. Public area lighting faulty or non functioning. I really hate to see the bees running around the swimming pool (this is not the first year), they should find a way to get rid of them. Also, the Internet Connection was not steady. Also, they should improve the interior of the rooms. Window in our bedroom was filthy and althou' we were almost the only occupants in the large resort, we were given an apartment with a tiny dirty balcony and only a very limited view. 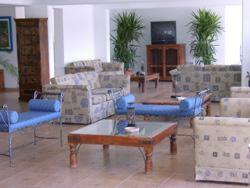 [We have stayed at these apartments in the past with large groups and always had a better apartment]. The bedroom door could only be closed with difficulty and parts of the cooker did not work.